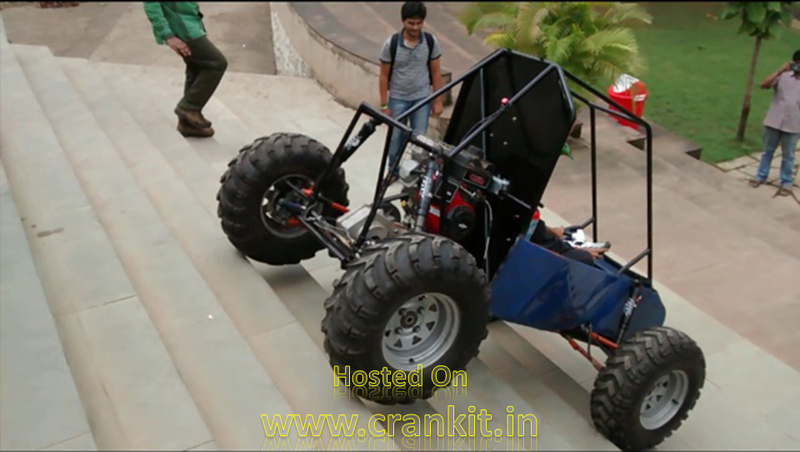 In our earlier article, we had reported about the Team Redshift Racing; having displayed their all-terrain vehicle (ATV) named “RAUDR II” in the Abhiyantriki 2014. 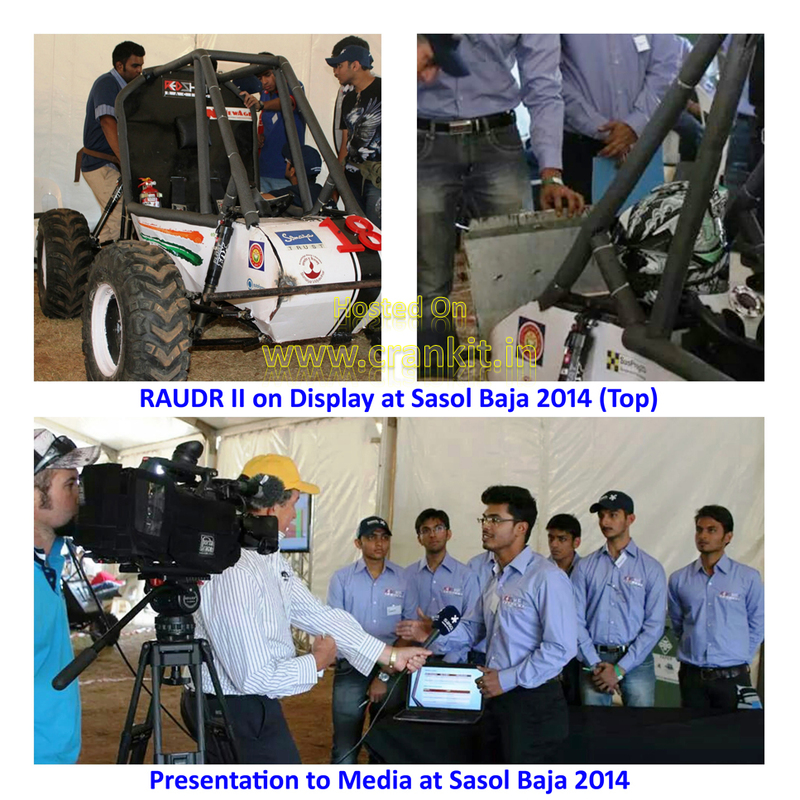 The “RAUDR II” recently participated in the Sasol Baja 2014 - a competition held in South Africa & organised by Society of Automotive Engineers. The Team Redshift Racing received many recognitions in this international event. However, they did not get this success as easily as you may think; since the team had to steer “RAUDR II” thru’ the tough terrain of hurdles and obstacles while doing so. Sasol Baja 2014 evidenced to be an acid test for the Team Redshift Racing; evaluating their stamina, grit and attitude. What “RAUDR II” had to go thru’ in Sasol Baja 2014? Among the notables, the Team Redshift Racing was ranked 10th in the “Final Overall Ranking” of the event and a remarkable 6th place in the “Design Report” category at Sasol Baja 2014. This is noteworthy in view of the fact that the car was delayed by 2 days in customs due to erroneous paperwork by officials back home. The Team Redshift Racing actually received the car in dismantled condition barely 16 hours before the main competition. Besides this, all the international teams participating were provided with a completely new engine. 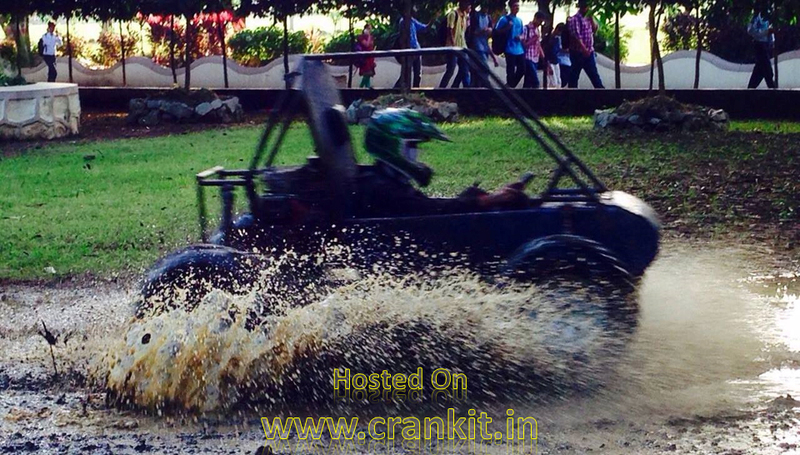 Hence, Team Redshift Racing had to change both the engine mountings and Spill pan entirely; to suit the new engine. Team Redshift Racing credits this to their “Transmission team” who modified and replaced all necessary components - right from the CVT cover to the Fuel tank – by working thru’ the whole night. The 16-member team of Brave-Hearts at Redshift Racing worked tirelessly through the night and the following day to get through the mandatory Safety Scrutiny and Engine Inspection. Despite the technical snags, the RAUDR II managed to climb to a respectable 4th spot in “Car Design Evaluation” category with a score of 126/150; while missing out on the 1st place just by a whisker of 6 marks at Sasol Baja 2014. However, the series of bad luck didn’t stop here though for RAUDR II at Sasol Baja 2014. Just before Team Redshift Racing could get the Brakes Test done, they found that their brake master-cylinder was damaged. It failed to pump the brake-fluid through brakes lines. After examining the lines Team Redshift Racing did not find any leakage and even after bleeding the line they could not solve the problem despite eliminating all possibilities; except for the faulty piston in the master-cylinder. Thus, Team Redshift Racing concluded that it was the faulty master cylinder. To add fuel to the fire, all the original and spare cylinders were damaged during transit; forcing the Team Redshift Racing to hunt for an Indian OEM master-cylinder in South Africa. The team managed to find a similar master cylinder which could suit after some minor modifications. After replacing it they were able to perform the bleeding process properly. However, the pressure developed in the front brake lines was far less than required for RAUDR II. Hence, inspite of crafting a miracle; the Team Redshift Racing could not continue further due to strict safety rules of Sasol Baja 2014. Notwithstanding the turn of unlucky events, the members of Team Redshift Racing held their nerves and still managed to receive the First Social Team Award for the year 2014. 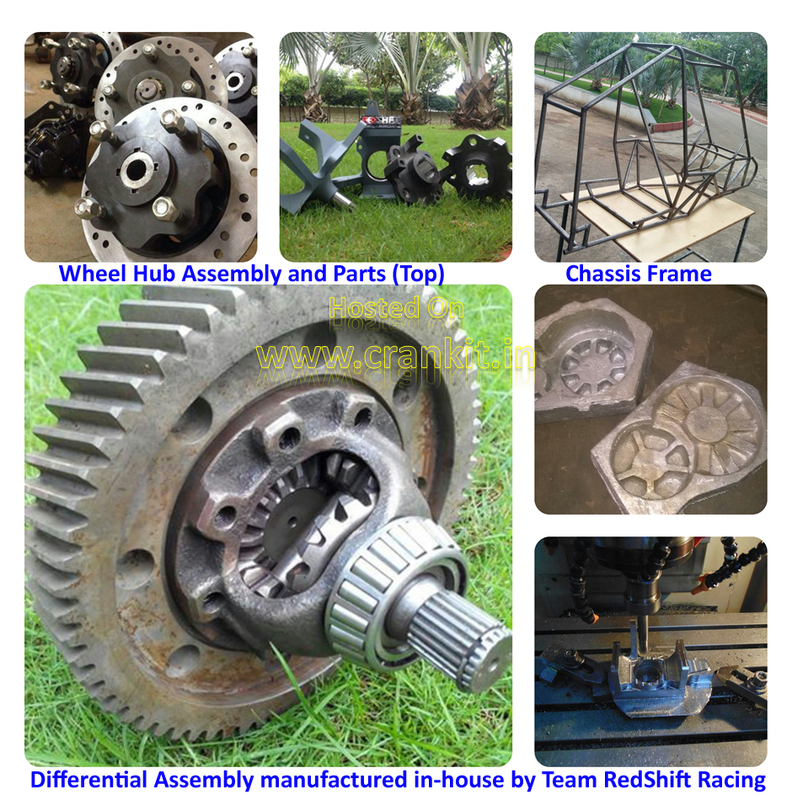 Team Redshift Racing’s tradition and core brand values of self-designing and manufacturing most of the parts in-house greatly helped them in achieving the praise; with experts applauding their approach towards design at Sasol Baja 2014. The members of the Team Redshift Racing were really disappointed that they could not compete in the main event of Sasol Baja 2014 even after RAUDR II undeniably matched the standards of their competitors at every stage. Despite all the odds unfortunately adding up against them, Team Redshift Racing managed to impress the judges and other teams in Sales Presentation category and was adjudged No. 1 in Sales Presentation. 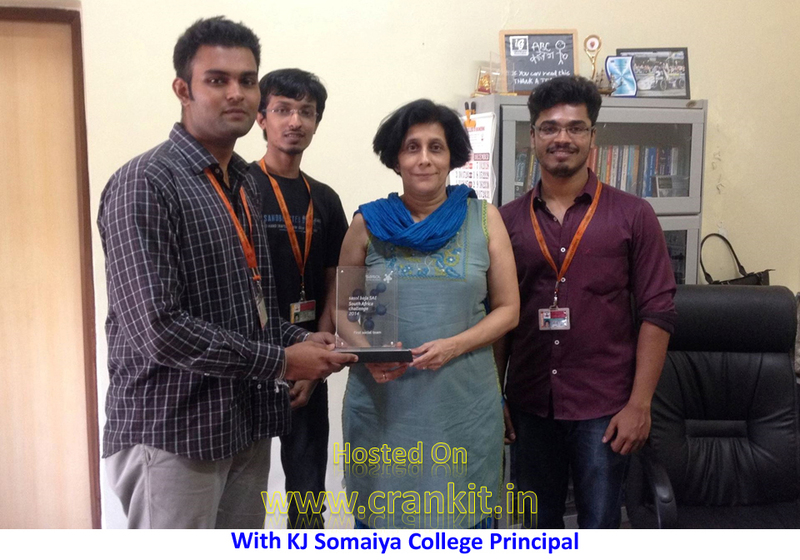 The team’s Sales Strategy was applauded by all the judges and other teams and was also recorded for a special telecast to be viewed on Sky Sports TV in December 2014. 'Courage is not always a roar. Sometimes it is the quiet voice at the end of the day that says, "I Will Try Again Tomorrow”'. As Team Redshift Racing tried very hard to keep India’s flag flying high at Sasol Baja 2014 regardless of many hindrances beyond their control, we all Indians are really proud of them. We, at Team CrankIT, strongly believe that the success should not be measured by Numbers / Rankings alone but also by the Attitude with which one gets those numbers. 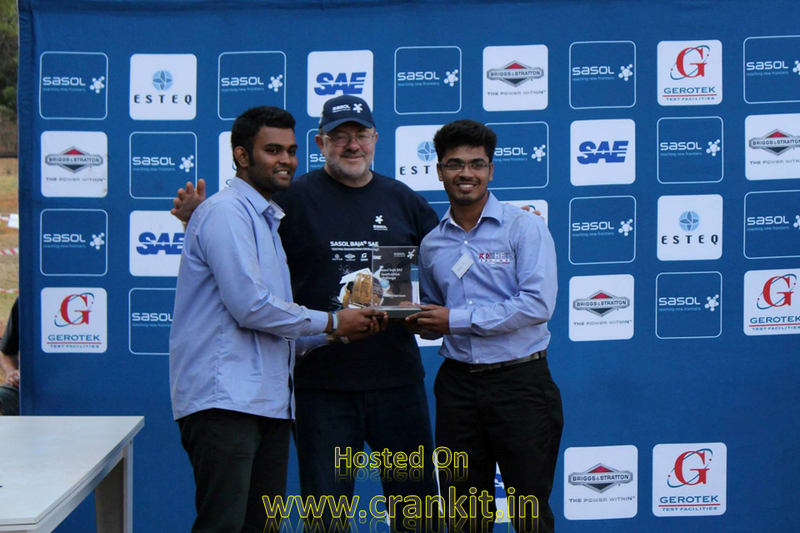 We are sure that the experience gained in Sasol Baja 2014 will provide a great learning curve to all. Team CrankIT heartily congratulates Team Redshift Racing, salutes their “Never Say Never” attitude and wish them Best Luck for future events. A champion is not someone who doesn’t fall down, but the one who gets up even when others can't…! What could we learn from Team Redshift Racing’s efforts? Find Purpose… The means will follow. – Mahatma Gandhi. Team Work: Together we can and we will make a difference.